Looking for holiday accommodation with a swimming pool? LovetoEscape has a selection of holiday accommodation from self catering cottages to B&Bs with a swimming pool. Enjoy a morning or afternoon swim or relax by the pool, a holiday cottage with a swimming pool is an added luxury to your holiday. Some holiday cottages have their own private swimming pool, whilst others have a communal pool for guests to share. Swimming pool can give you the opportunity of a little exercise to keep you fit whilst you are away on holiday, preventing the extra holiday pounds! Holiday accommodation with a swimming pool is ideal for families. They are great for keeping children amused throughout the day while parents relax by the pool. An indoor pool in the UK and Ireland is also perfect for those rainy days to relax or keep the children occupied. Choose from a variety of holiday accommodation offering a swimming pool, outdoor or indoor within the UK and Ireland and across France from leisure hotels offering a lagoon pool and spa facilities to a private self catering holiday cottage with heated outdoor pool. 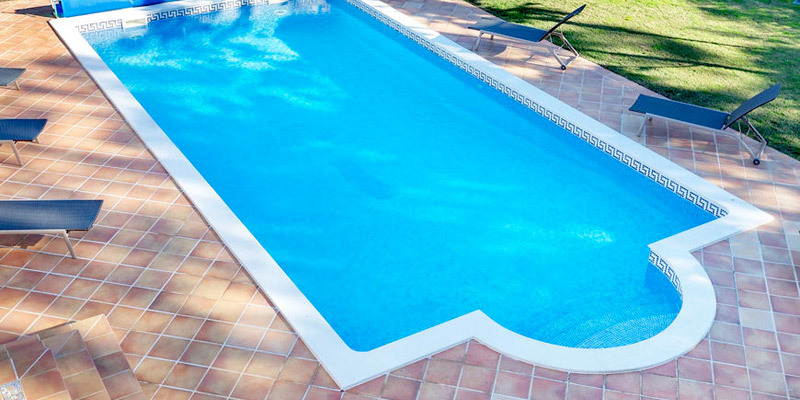 Please note: Properties with swimming pools are highly sought after so make sure you book in advance, especially in popular areas.